Join us in celebrating our fifth year of service, as we couldn’t have done it without you! I’m extremely proud of the progress we’ve made as a group and as individuals. Collectively we’ve worked together to expose inner city and at-risk youth to snowboarding, developed the leadership skills of all of our participants, and tackled some of the roughest terrain on our snowboards and mountain bikes. Yet individually, we’ve all faced some of our greatest fears and overcame many obstacles. I’ve had the pleasure to share in many of the triumphs of the group; seeing a newbie link turns at the end of a lesson, watching our older students become group leaders, and listening to the group’s stories on the bus ride home is a reward in itself. I started Shred Love to give back to my community and yet my community has given so much more to me in return. I’ve learned a lot within the last 5 years about community, relationships, problem solving and myself. There were many times I wanted to quit because of funding and managing the business side of Shred Love, in addition to balancing my family, my day job; my life in general. 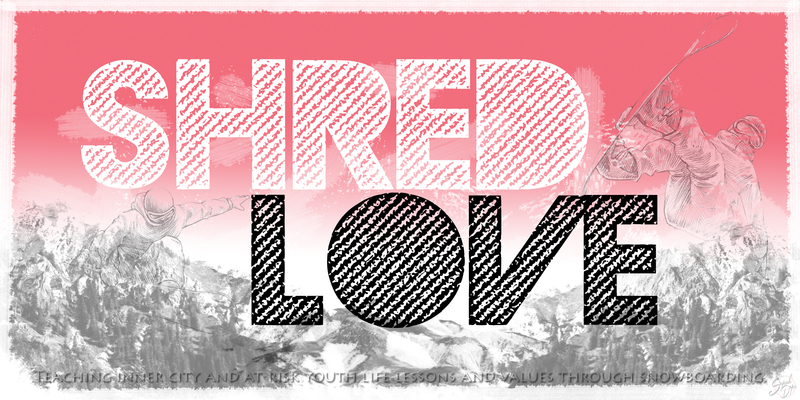 Through each hurdle you, our supporters, created a way for Shred Love to not only continue, but to also grow. May the next 5 years allow us to continue to grow and serve more deserving youth and create many more life long memories! This entry was posted in News and tagged 5th year anniversary, anniversary, Bayonne, challenges, Elizabeth Royster, get to know us, growing pains, growth, jersey city, JORBA, June 27 2009, learn to ride, liz royster, mountain biking, New Jersey, non profit, nonprofit, nonprofit snowboard, progression, shred, shred love, snow, snowboard, snowboard organization, snowboard youth, snowboarding, sos outreach, thank you, thanks, trips for kids, tubbs romp to stomp, windham mountain, winter, work life balance, youth snowboard. Bookmark the permalink.